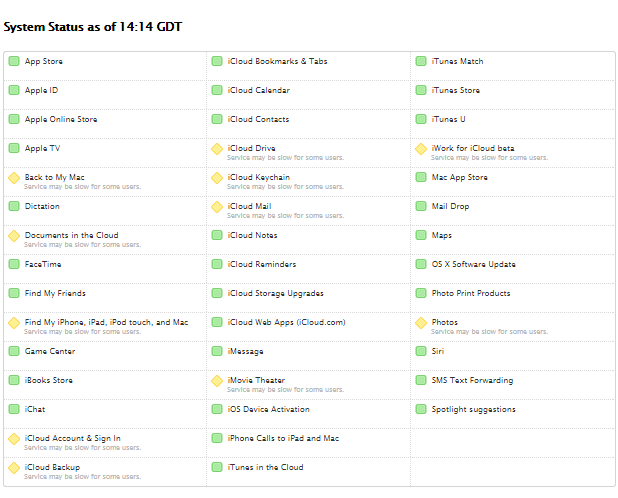 Apple’s usually-reliant iCloud service appears to have been struck by major technical issues today, leaving many users unable to log into or facing issues with iCloud Drive, Find my iPhone, and many more. A full list of iCloud products hit by this issue can be found here. Thankfully, these kind of issues affecting many users are few and far between. But, as whenever iMessage goes down, we’re reminded of how reliant we are on the digital world, and today’s technical hitch at Apple’s end may have wreaked havoc for those leaning on iCloud for day-to-day duties. Since Apple has kept fairly quiet on what the cause of this problem is, we don’t know how long it will take to get things back up and running again. Since it has already been going on for hours, we’d speculate that it’s quite a big problem, particularly since many users are unable to use the highlighted services at all. Given that iCloud is scarcely four years old, the number of features and services it now offers is very impressive indeed. But it’s no use having such a variety products when they can all be knocked down like dominoes, and taking this into consideration, let’s hope that a fix is just around the corner. This isn’t the first time this year that Apple’s services have been plagued by issues. Back in March, the login service was down for hours, while segments of the iTunes Store were also beset by technical problems last month. Whatever the cause, Apple is working on weeding out this problem as quickly as possible, and we’ll post an update should any noteworthy developments occur. You can keep an eye out for progress by checking the source link, which shows the Apple’s system status page. Update: As of around 11:30AM ET, it appears that the issue has been resolved for all users.